OK here’s the rub! 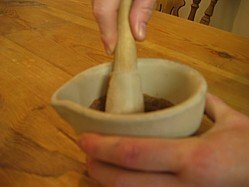 Indian barbecue dry rub. This is such an easy barbecue recipe idea and preparation in minutes. 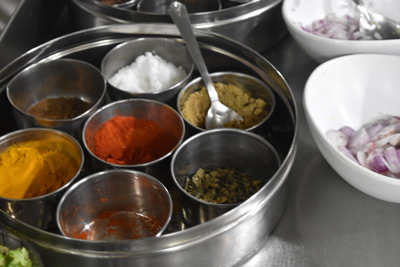 Basically it’s the same ingredients that would go into a Byriani Indian curry, just throw them into a pestle and mortar and grind away – I can smell the aroma already! I think it works best on chicken thighs, just remember to remove the skin from the thighs before applying the rub. When the great Mogul emperors wanted to put on a really lavish feast, the center piece would be great plates of biryani sometimes requiring two people to carry them. Indeed even among the masses you could measure a man's wealth by the sort of meat dishes that he served and biryani would always come high up the list. So once you've made or bought your garam masala, you're ready to go. Of course you can always cheat and use ready ground spices, I won’t tell on you. Note:- Spices keep their flavour better as seeds that are freshly ground. If you buy ready ground spices you'll find that over time the flavour (and colour) will gradually diminish so only buy in small quantities so that you can guarantee that your spice is as fresh as possible. Once ground up, just sprinkle over the meat of your choice, give it 30 minutes to "take hold" of the meat and then it's time to cook. If however you fancy the true Indian experience on a barbecue, check out my recipe for Tandoori Barbecue Chicken.